The daily recommendation is 3,000 steps a day. Do you own a pedometer? How many steps are you taking in a day? 3,000 steps seem like a reasonable number, but if you want to make a difference, go for 10,000. A recent study calculated that a sedentary person who began a walking program of 10,000 steps a day would see a threefold improvement in insulin sensitivity compared to only walking 3,000 steps a day. Let us start with the basics. Why do we want to improve our insulin sensitivity? Insulin is responsible for absorption of glucose or sugar into the body. If the glucose is not absorbed properly it stays in the blood stream and accumulates in inappropriate places. Insulin deficiencies cause Diabetes. Diabetes has a strong genetic prevalence but is still a preventable and manageable disease with appropriate lifestyle changes and medical interventions. A great example of a lifesaving lifestyle change is starting a walking program. The average American takes around 3,000-5,000 steps a day. This is less than 3 miles of walking. We must all admit that most Americans live a relatively sedentary lifestyle and are not very active. Thus our goal should be above and beyond the average American. 10,000 steps a day is about 5 miles. This is every step you take. If you take a mile walk at night with your dog that is only a small portion of the steps you have taken throughout the entire day. You would be surprised at how fast they add up. We all have busy lifestyles but walking 10,000 steps does not take a gym membership or any at home equipment. First thing to do is to get a pedometer. Surprise! You can get a pedometer for free. Type free pedometer into your search engine and you will be surprised at how many non-profit organizations are giving free pedometers to help Americans get healthy. Simply click it on your belt and go out for a normal day and see how many steps you are taking. Now be creative. Park you care in the back of the lot and take the stairs instead of the elevator. Take the long way to the bathroom. Walk to the mailbox, walk the dog, or take a walk with your kids, neighbor, or significant other. Instead of surfing the web during your lunch hour, window shop at your favorite boutiques or walk around your favorite sporting goods store. The opportunities are endless once you start looking. 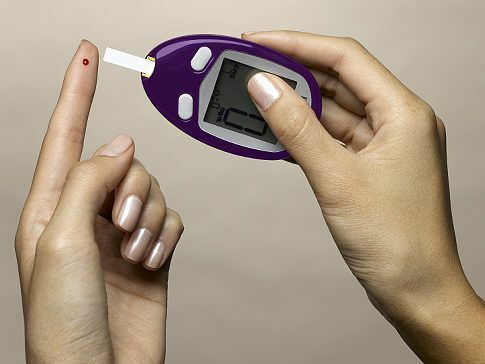 Diabetes can be a very devastating disease that can cost your legs and eventually your life. Keep walking while you have the chance and lower your risk of diabetes and heart disease. Not only will you feel better, but you will probably shed a few pounds and look better!